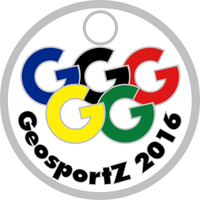 The GeosportZ 2016 game is a unique concept created by Geocaching Australia which allows players to score points while finding geocaches and meeting the specific requirements of the game. The game runs at the same time as another major sporting event held in Rio. It brings together the fun of geocaching while adding a unique challenge that gives players even more reason to go out and find geocaches. Geocaches for the game must be published before the start of the game unless the requirement clearly states an exception. Geocaches you claim for the game may be of any type found at geocaching.com or Geocaching Australia. They need not be physical geocaches unless a type is part of the requirement. Geocaches you claim for find requirements must be found during the game period. Geocaches you claim for hide requirements must be hidden during the game period. Geocaches you claim for the game must be logged in the game within 7 days of your find date on the original listing site or prior to the end of the game, whichever occurs first. There are lots requirements to choose from!! Your target is to get as close to claiming all of the requirements without exceeding the target of 1,000 points in total. Each requirement must be claimed against a geocache previously not found by you (i.e. You cannot revisit a geocache you have already found to claim a requirement, unless the requirement specifically states an exception). Each requirement must be claimed against a different geocache (i.e. You cannot claim more than one requirement per geocache). Choose the geocaches you log against your requirements carefully. You will not be able to remove logs so that you can claim a different requirement to alter your points. The name of the game is discipline and strategy. You are seeking a combination of the most requirements claimed and the highest number of points without exceeding 1,000 points. You are not claiming the requirements first. It is not meant to be a race. The games software will attempt to reject any claims that would put your score over the target points. It remains your accountability to ensure you do not exceed the target points. The game runs from 1 August 2016 to 31 August 2016. Requirements will be released via the game page one day prior to the start of the game. A handy printable version of the challenges is available (download here) including a column for you to write in the points you've accumulated. The game is open to anyone registered on the Geocaching Australia website. Points gained not only serve to see an individual player reach their goal, but they also help their dragonZone clan. This page was last modified on 1 August 2016, at 12:00.